Oil prices on Thursday were close to their lowest levels this year, with soaring U.S. output undermining OPEC’s efforts to tighten markets and prop up prices. Brent crude futures were at $65.28 per barrel at 0104 GMT, down 23 cents, or 0.4 percent, from the previous close. U.S. West Texas Intermediate (WTI) crude futures were at $61.58 a barrel. That was down 21 cents, or 0.3 percent, from their last settlement. The dips follow bigger falls on Wednesday, when crude touched one-month lows and erased most of 2018’s early gains. Some support on Thursday came from the second outage in as many months on the 450,000 barrels per day Forties pipeline network, Britain’s biggest, which supplies much of the crude underpinning Brent futures. But the biggest market driver was U.S. production. What’s long been expected is now official: U.S. crude oil output averaged above 10 million barrels per day (bpd) for the first time since the early 1970s last week, reaching 10.25 million bpd. Until the early 2000s the United States were oil starved, importing a peak of 12 million bpd. But in one of the steepest rises of any oil producer in modern history, U.S.output has surged by more than 20 percent since mid-2016, undermining OPEC’s and Russia’s efforts to tighten the market and prop up prices by withholding production. In fact, the OPEC-led restraint was arguably the biggest enabler for America’s production boom, handing over market share at higher oil prices. At 10.25 million bpd, U.S. output is now higher than the previous 10.044 million bpd record from back in 1970. It’s above that of top exporter Saudi Arabia’s and within reach of Russia’s. 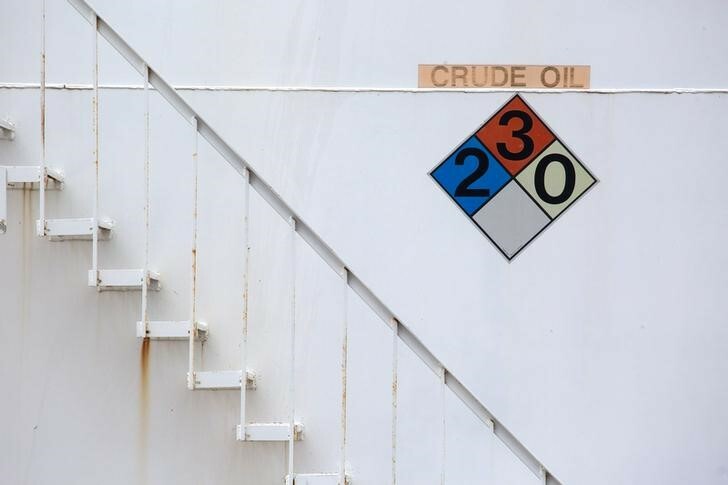 Weighing further on prices was that U.S. commercial crude stocks rose by 1.9 million barrels in the week to Feb. 2, to 420.25 million barrels. The official U.S. Energy Information Administration (EIA) this week upped its 2018 output forecast to 10.59 million bpd, up by a whopping 300,000 bpd from their last forecast just a week earlier. “What surprised the most was the large spike in oil production to 10.25 million barrels per day which was significantly higher than 9.92 million from the previous week,” said Fawad Razaqzada, market analyst at futures brokerage Forex.com. “Clearly, the data points to an imbalanced market and oil prices have responded by turning sharply lower,” he added.